Looking for the DOUBLE BAR stripes for 2009-2015 2016 2017 2018 Dodge Ram Truck, then you came to the right place, because Fast Car Decals have the best deal around for Dodge Ram Stripes, Dodge Ram Vinyl Graphics, and Dodge Ram Racing stripes. 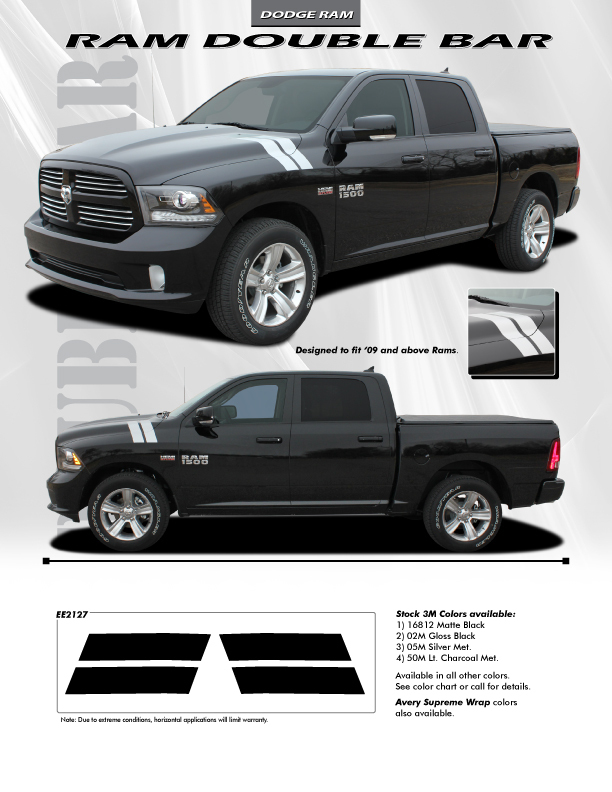 For Dodge Ram 1500 Hood Stripes. We never skimp on quality at FastCarDecals.com.